THIS IS IT! Meticulously maintained Single level POOL home in Acacia Crossings. No Neighbors behind with Arizona Sunset Views Everyday. 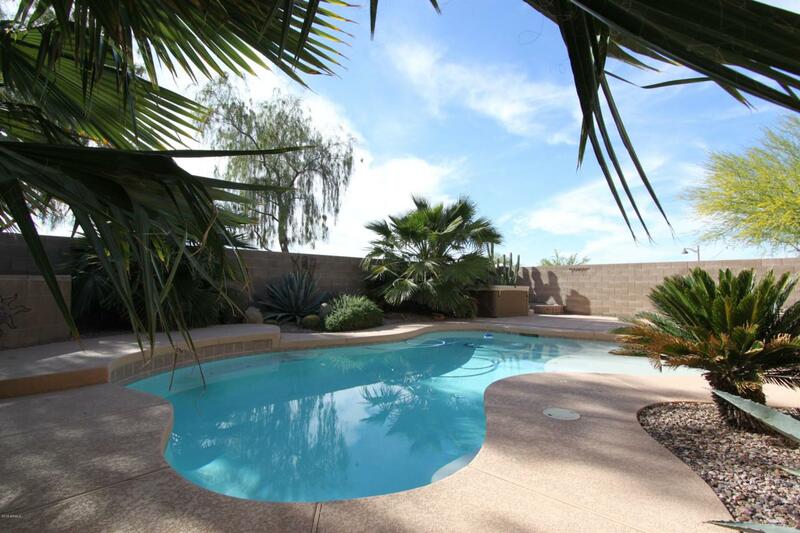 Amazing backyard with HEATED Pool that includes a huge Baja step. There is also a gas BBQ Grill Island , fridge, fire pit, and tropical vegetation. Inside this home has upgraded kitchen with raised panel cabinets, Granite counters, undermount sink and built in coffee maker. Black appliance package and large dining/breakfast room. Large Master has separate shower/ tub, walk in closet and dual sinks. Home has newer interior and exterior paint, interior Shutters, exterior sunscreens and ceiling fans thruout.